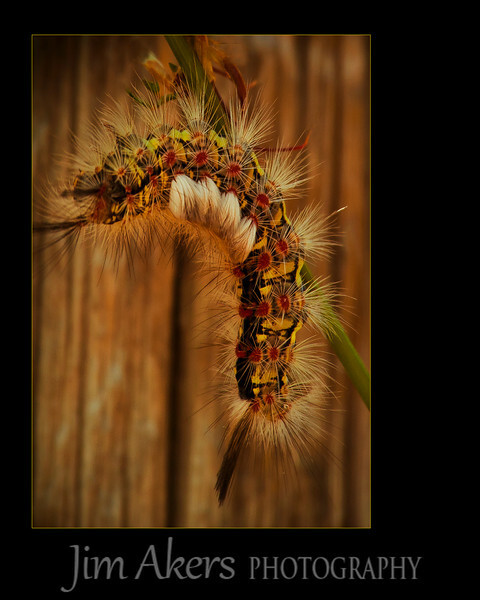 Generic name is tent catepillar. You may see their white thready nests in the trees. Very destructive to some tree and plant forms. They eat and eat and eat. I shot this little guy at Malibu Lagoon with a Canon 100mm lens using a tripod. He has to look menacing to other critters. His hair bristled and seemed like it would be hard for a smaller creature to attack it due to the pointy hair.